Your details will not be shared or sold to any third party or affiliate. You have completed your registration. Get ready to bet! You're almost done! Please verify your mobile number. If you signed up through an offer, your account needs to be verified to activate the offer. We have sent a code to both your phone and to the email address you used to create this account, please use it to verify your account. 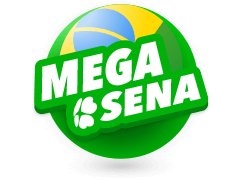 Regular jackpot Boost jackpot Enable the ‘Boost Jackpot’ option to increase the jackpot by hundreds of millions! Just 1 draw. Remember to bet again next draw. Just 2 draws. Remember to bet again in 2 weeks. Credit card only A recurring subscription with 1 month of binding period. Credit card only A recurring subscription with 12 months of binding period. Activate Boost Jackpot to play for a gigantic top prize! 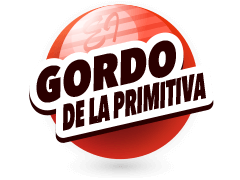 One last thing… Good Luck! What are my chances of winning? Multilotto.co.uk is operated by Multilotto UK Ltd in the United Kingdom under Combined Remote Operating License Number: 000-047707-R-326101-001 issued on 19/04/2017 by UK Gambling Commission. *Multilotto.co.uk allows customers from the UK to bet on the outcome of a wide range of international lotteries in order to win the same prizes, including the jackpot. Players can bet on the Eurojackpot UK for a chance of winning a jackpot which offers better odds than any other European lottery. While other lotto's were designed to pay out bigger Jackpots, they have a far lesser probability of winning. 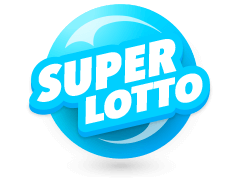 Thus in contrast to the other European Lotteries, the Eurojackpot is designed to give players more chances of winning. Even though the jackpot may be smaller, it is won at a greater frequency. Players are twice as likely to win while betting with the Eurojackpot than on some of the other major lotteries. For individuals to enjoy the Eurojackpot online, all they need to do is sign up at Multilotto and start chosing the numbers for their lottery bet. This option is available to countries from all over the world when they sign up at Multilotto.co.uk. Multilotto offers a safe and secure place to bet online while guaranteeing all of its prizes will be paid to players. In order to register at multilotto.co.uk, players simply need to go to the website and fill out a registration form, which will include personal information like, name, surname, password, e-mail, date of birth, country of residence etc. Once this is done they simply choose Euro jackpot game and place their wager. May 2015 set precedence, in the Eurojackpot prize winnings, giving a player from Germany a prize of €90 million. Since the previous massive win bet of €61 million Euros, the Eurojackpot has continued to grow and will continue to grow, its massive payouts. The winning numbers were as follows; the two Euro numbers were 9 and 10 that previously followed the winning numbers 12, 14, 18, 38, 46. It just happened that there ware previous other prize winners who managed to match the Euro numbers, 1 Euro number and the 5 main numbers and each of the lucky players got to take home a sum of €7,643,520. As usual, the player preferred to stay anonymous. The winning number being purchased at the State of Hesse. Being as it may the Czech Republic lottery calculate the probability of winning the lotto and its jackpot at one in 95 million. 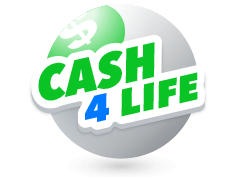 The great aspect of the lotto is the fact that according to the Czech legislation the lottery prize winner receives full tax compensation. Therefore he/she did not have to pay any tax whatsoever. A German man from Rhineland landed himself on a €76 Million EuroJackpot - the largest win in German lottery. Announced on the 29th of March that he was the true winner of the grand prize, was a man from Rhineland who received a groundbreaking record of 76.8-million-euro (85.8-million-dollar), which at the time was quite a considerable amount of money. At a cost of only €8.50, the man realized his dreams of becoming a millionaire. The player form Rhineland managed to guess, two additional numbers from dozens and five numbers from 50 which endeared him a solid win. Germans have proved, throughout the history of the game, to have the most luck and this case was no different. There was also another German player to win Eurojackpot in 2016. 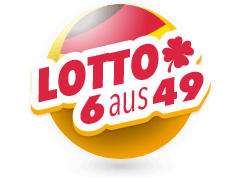 The player was from North Rhine Westphalia and the winning numbers were, 11, 14, 35, 44 and 45 including the extra number which was 5 & 6 and the exact award was €49 685 851. How Can Players Bet on Eurojackpot UK? To bet on Eurojackpot, players simply need to pick 2 special numbers and 5 regular numbers on their bet slip. In order to win, prizes are determined based on how many numbers that are correctly matched. Players with matching numbers tend to share the winning prize jackpot. When there is no jackpot winner the money is rolled-over and the money will go until there is a winner. Roll-overs are quite common and are likely to occur. Which countries offer Euro Jackpot Lotteries? Players can take part in Euro jackpot regardless of the location that a player is in at that particular moment. 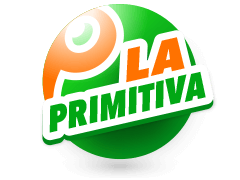 Players can place a wager through multilotto, and win prizes. Prizes are awarded depending on how many matching numbers they have. Euro jackpot now includes 16 countries participating countries, including Estonia, Finland, Iceland, Austria, Slovakia, Netherlands, Russia, Czech Republic, Croatia, Sweden, Spain, Lithuania, Latvia, Denmark, UK and Iceland. This makes Euro jackpot one of the largest pool in Europe that players can exclusively bet at Multilotto. Also Multilotto offers players from around the world the chance top bet on this Lottery regardless of their nationality. Where Can Players Bet On EuroJackpot Online? Players can bet through a number of online services but only Multilotto UK offers certain features like the auto pick and and group play features. Players cannot bet on the Eurojackpot offline unless they are situated in Germany, Italy, Latvia, The Netherlands, Croatia, Denmark, Estonia, Slovenia, Spain, Finland, Norway or Sweeden. It is that simple. How Can Players Win The Eurojackpot UK? Winning the Eurojackpot takes a significant amount of good fortune. EuroJackpot is a favourite among veterinary Lotto players because of its combination of its big jackpots and best odds of winning. No matter what the methods that are available online, for providing a winning combination, there is no scientifically proven method of predetermining the winning numbers. Although at the Eurojackpot, there are statistics that show the most likely numbers that will prove to be successful when it comes to playing the lotto, including the most frequently drawn Eurojackpot number, most rarely drawn jackpot number, most frequently drawn Euro numbers etc. What are Euro jackpots Hot and Cold balls? 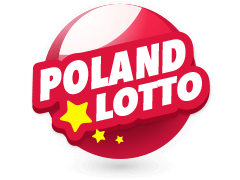 Some statistics include: The most picked lotto ball is number 49, while the most frequently drawn Eurojackpot number is number is 40, 19, 10, 1 and 20. The most rarely drawn Eurojackpot number being 48, 2, 36, 24, 27 and the most frequently drawn Euronumbers are 5 with a frequency of 80%% and 8 with a frequency of 79%%. 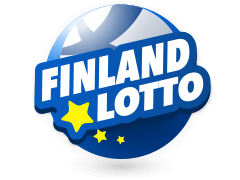 Players can visit the website for more information on winning statistics, including the most likely countries to win the Jackpot and countries that have been winning the jackpot ever since like, Finland, Germany and many more. Statics that are sure to guide the player to win big. Enjoy Eurojackpot today to stand a chance of winning great grand prizes of up to €90 million. 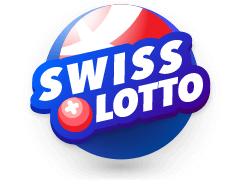 When it comes to European lottos there is no other better lotto than the Eurojackpot. With the ability to bet anywhere in the world, Eurojackpot remains accessible in most parts of the world. 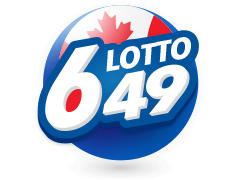 Even though the Lotto remains a low-value jackpot, players still have favourable odds when it comes to this lotto. Players can watch the Euro lotto results being televised in 16 different countries. Not only that, but players can also watch the results in on youtube right after they have been televised; everywhere and any place of their choosing. 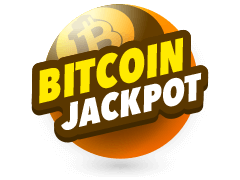 Players can easily access their funds after they have won the jackpot since most of their funds will be automatically transferred to their bank account. When participating in the Eurojackpot, you can check your betslip online. By logging in to your Multilotto account, you can check your betslip online. 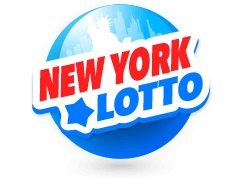 Players can also check their lucky lottery numbers online for a variety of other lotteries with our lottery number checker. Players can simply click on the five regular numbers that they have selected and their two special Euro ball picks in order to see and the handy checker will automatically compare their selections with the previous winning numbers. This option assures players have a great chance of winning great prizes since they can check the numbers that they are currently playing have been previously winning numbers. Just like most jackpots though, there are rules and regulations that players must adhere to. Players should always take the time to familiarise themselves with the rules of the game. © Copyright 2010-2019 Multilotto UK Limited. All Rights Reserved.